Is your marketing strategically focused? Put simply, inbound is an approach to marketing that makes it easy for the right customer to find your business and develop the customer’s readiness to buy. It is designed to help potential customers to solve problems and identify opportunities based on the solutions your business offers. It generates enquiry, hence the term inbound. Think about the last time you bought something that required some research. You probably went through a process of describing your problem or outlining the type of solution you were looking for. If you did this online, you were likely presented with blog posts, podcasts or videos that guided you in what to look for. In doing so, you may have found some businesses that offered a solution, or you may have searched further for this. 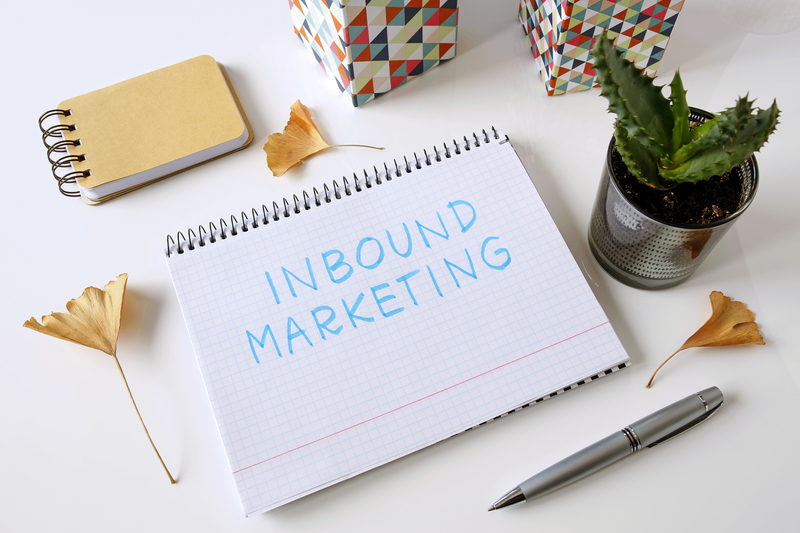 Inbound Marketing exposes your business to the majority of customers who are looking for answers for their existing problems. Well-designed inbound marketing takes the customer on a journey from primary research to identifying a business they will consider or prefer to buy from. What products and services are best suited to inbound? Inbound is most effective for products and services that have a longer, or more considered, customer buying journey. This can include consumer luxury products, high value products or services, customers that have a high ongoing or lifetime value, or business to business (B2B) relationships. Examples could include choosing a lawyer, a photographer, a mortgage broker, or the purchase of high value technology products. Less effective are goods that are purchased on impulse or with low involvement. For those of you who follow my posts, you’ll know that I bang on a lot about strategy. Why? because without strategy, businesses can get lost in tactical mayhem. It’s so easy to get trapped in a cycle of being outwardly busy but inwardly ineffective; spending time on things that just aren’t adding value. Fully understanding the customer segments that you wish to attract. Who are they? Where are they? Describe them and know what motivates them to buy. Define a buyer’s journey. What are the steps that a customer goes through when buying products or services in your category? Develop a content plan. The content plan is the type of information that you will offer to the prospect at every stage of their buyer’s journey. Following this stage, you will be clear on what you aim to achieve and the path you will take to achieve the goal. The content plan is typically arranged along the following steps of the customer’s buyer’s journey. In simple terms, to attract a lead, the content developed will be mostly about the customer and not the business. Remember, the aim is to attract the customer by helping them with relevant information. Selling what you do comes later. Converting the customer to a lead is best done by offering the prospect extra useful content in return for their personal information - their email address, for example. This involves placing a call to action within the ‘attract’ content that directs the customer to a landing page where they submit their email address in return for the content. Now you have the lead’s contact information it’s time to start nurturing. Nurturing the lead is a mixture of additional useful information and examples of your offer. Once again, call to action buttons are used within the ‘nurture’ content that are designed to move the customer closer to purchase. This could be a content offer of buyer’s guide for example. If a lead downloads a buyer’s guide it is a fair indication of their purchase readiness. This could trigger an offer to be sent to the customer or a decision to contact the customer directly to request a meeting. Today, business is blessed with the availability of technology that helps to manage, track and automate marketing. This can be organised via a range of free and subscription based tools that interconnect to manage the customer’s buyer journey. Or better still, a single platform such as Hubspot, which coordinates easy to use tools and reporting within a single portal. Inbound marketing is an incredibly effective means of generating leads and nurturing the lead towards a sale. It places your marketing in tune with today’s buyer behaviour, is more efficient and allows for measurement of effectiveness and return on investment.